HandmadeBits4U: One More Free Shipping Day! The Free Shipping promotion for the UWIB ETSY street team has been highly successful for many of our members. We would like to thank all of you who have visited our shops, purchased an item, or have hearted us for future consideration! The Free Shipping promo continues through Monday, January 25 so take another look! New items have been added. To see everything that is being offered with free shipping just search on UWIBTEAMFS in ETSYor click here! 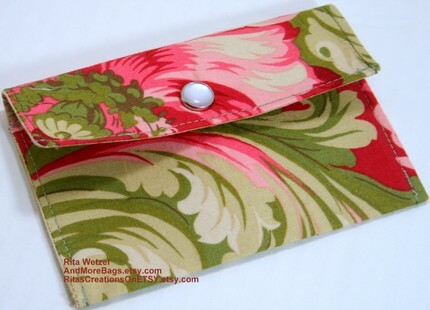 This is one of my Mini Wallets. These wallets hold credit cards, business cards, rewards cards, folded money! Check them out for additional colors and designs. Design Knit Fun features contemporary and unique scarves along with accessories. Most items are one of a kind unless noted. 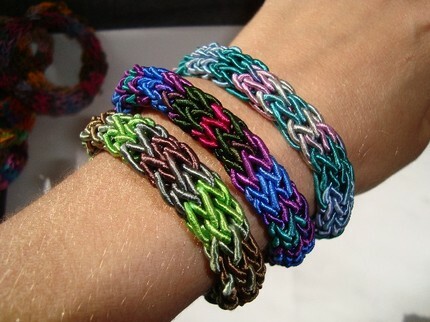 Different stitches and yarns are used with a mix of discontinued and recycled materials and eco yarns. 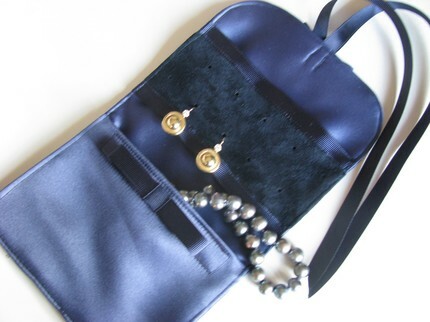 Gold Crest Bags carries bags of many styles. They can be personalized and customized. The products from WabiBrookStudio embrace your love of the land with nature-inspired, eco-friendly, fine art and artisan jewelery. The photographs and paintings are awesome! Thanks for stopping by. Hope you have enjoyed this glimpse into the talent of our UWIB Street Team.